Are You Ready to Start Your Award Winning Project Today? Designed with the homeowners' preferences for natural products and materials, this new space is to entertain friends and neighbors before and after High School games. At Terra, no property or landscaping client is the same. After our initial consultation, it is our job to create a unique outdoor experience and living space. 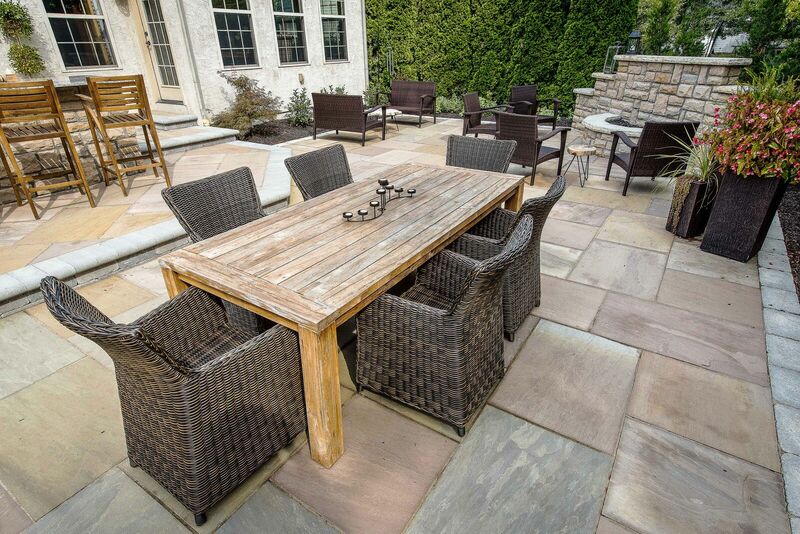 Whether you envision using natural stone products, concrete or clay pavers or numerous types of decorative aggregates, your outdoor living space starts with the hardscape installation of your patio or walkway. If you are looking to add some accent to your landscaping with a garden wall or a retaining wall, the design sales staff at Terra can work with you to sift through a variety of materials, shapes and colors. We offer the most up to date LED products on the market to maximize your outdoor lighting investment.